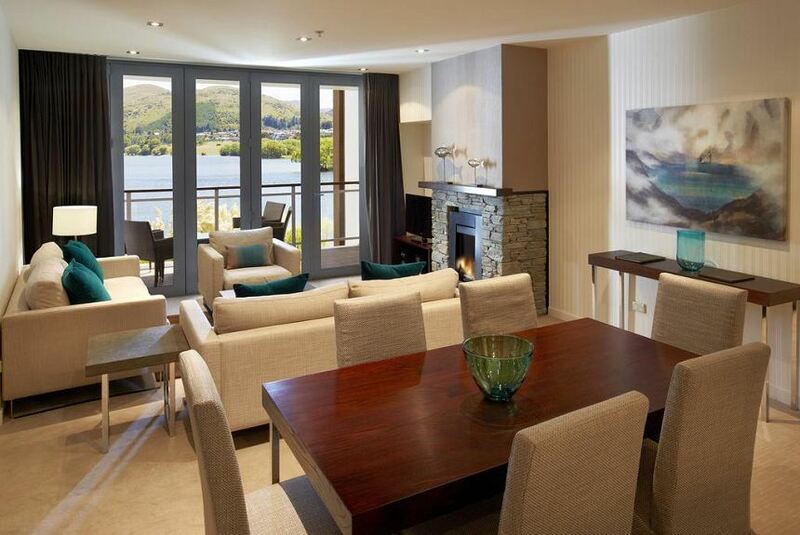 Located on the shores of Lake Wakatipu, Hilton Queenstown Resort & Spa features 5-star amenities including an indoor pool, a fitness center and a day spa. The elegant rooms and suites feature a gas fireplace. Hilton Queenstown Resort is a 5-minute drive from Queenstown Airport and 20 minutes’ by car or 15-minutes via water taxi from Queenstown city center. Each spacious room features a comfortable king-sized bed and an LCD TV. Guest rooms offer a stylish bathroom with a separate shower and bathtub and a range of luxurious amenities. Lakeside residences do not have a separate bathtub. Guests can sample the best of New Zealand cuisine at the stylish Wakatipu Grill Restaurant. Cru Wine Bar & Lounge serves a wide range of local and international wines. Workout in the fitness center, take a swim in the 23 m heated lap pool or indulge in a treatment at the Eforea Spa. The landscaped outdoor terrace offers stunning lakeside views.